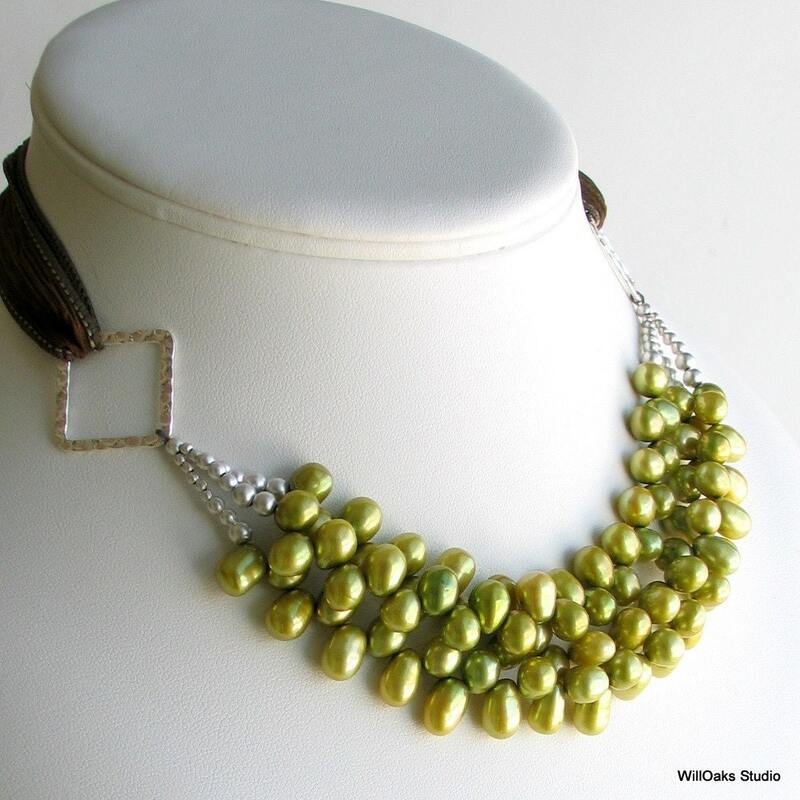 An original freshwater pearl statement bib necklace in stunning chartreuse, on a pure silk artisan made ribbon. Three strands of large glossy freshwater pearls, top drilled, with graduated satin finish sterling beads connect to hammered square rings. 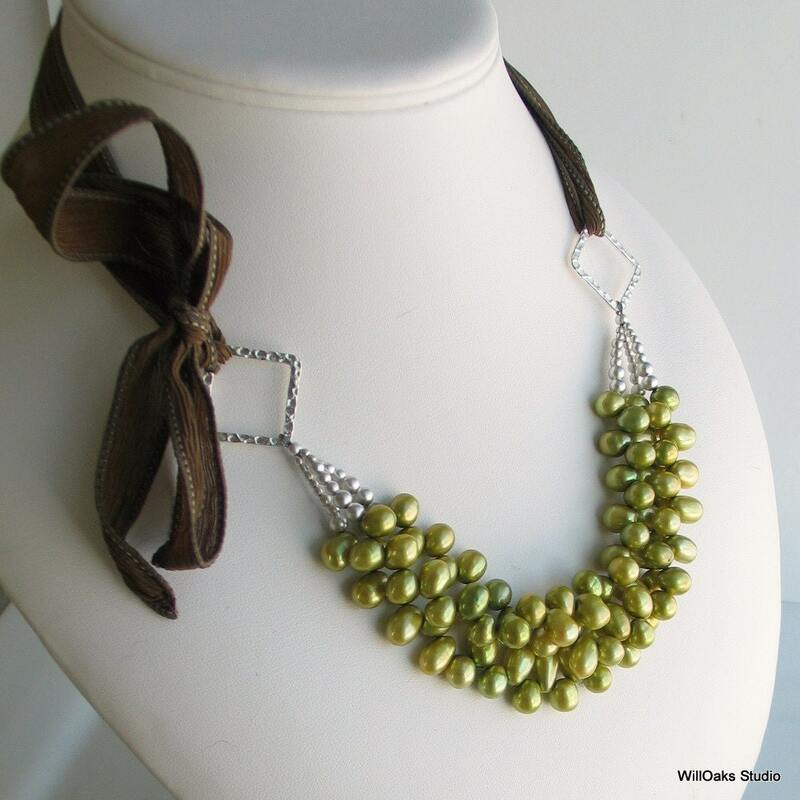 A dyed and handmade silk ribbon in a muted herbal green makes the length you wear this necklace easily adjustable from choker to opera length, to be worn finished with a bow or a knot, as you like it. There is 1 made and ready to mail! The pearl focal point measures 8 1/2" long including the rings, and drops just under 1" in the front. 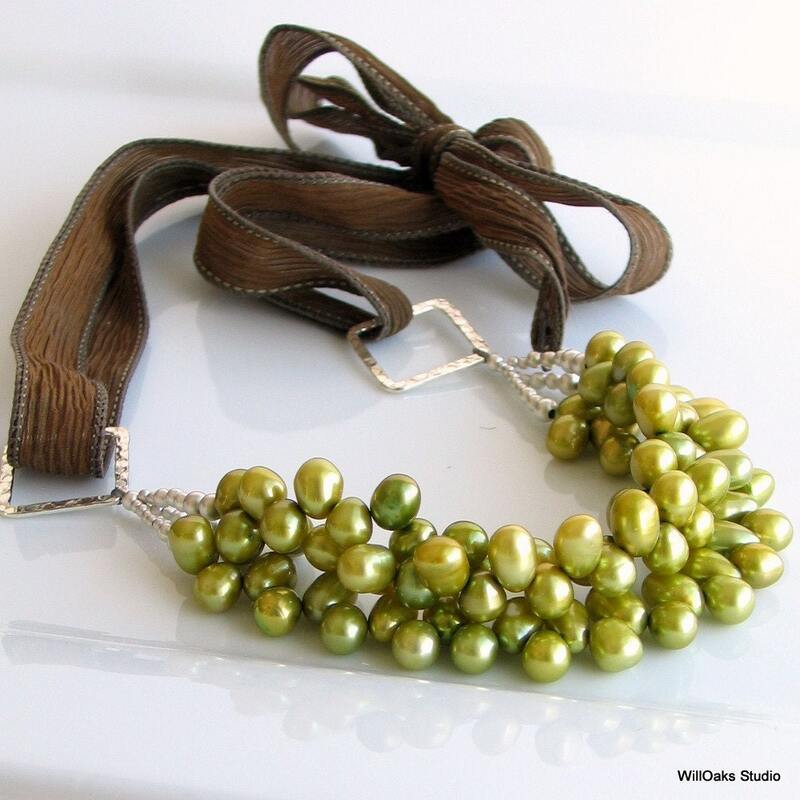 The dyed freshwater pearls are each about 8 x 6 mm, great luster, and a bright, rich color--a perfect accessory to cross seasons and to brighten your neutral outfit. The three individual strands move and mix freely, and with the adjustable length, this bib will complement many different necklines. I love this color any time, any where--and the color seems to have so many different names! Find your own favorite style as the ribbon is 42" long so paired with the handmade pearl focal point, can be worn many different ways. Pearls have been worn and prized for their beauty since pre-history. They are the birthstone for June and one of my favorite materials to use again and again.